The advantages of etched, cut, sandblasted, textured and other decorative glass designs are clear: Privacy can be customised, while light still pours from room to room, creating an open feel even in confined spaces. What makes 3M™ Fasara™ Glass Finishes better? Aesthetics: Our decorative glass and window film transform plain glass, capturing the look of cut or texturised glass to an astonishing degree. Flexible: Fasara™ Glass Finishes allow you to tailor the amount of privacy a space possesses. Use Fasara™ monolithically to create serene “rice paper wall” effects, or die-cut or layer the films to create exciting dynamic effects. Easy application: Fast, accurate, beautiful and durable applications. Customise and design your spaces while light still pours in! Fasara™ is available in many textures and patterns with the look of cut, etched and sandblasted glass, offering many levels of privacy! Perfect for Interior Glass Surfaces! 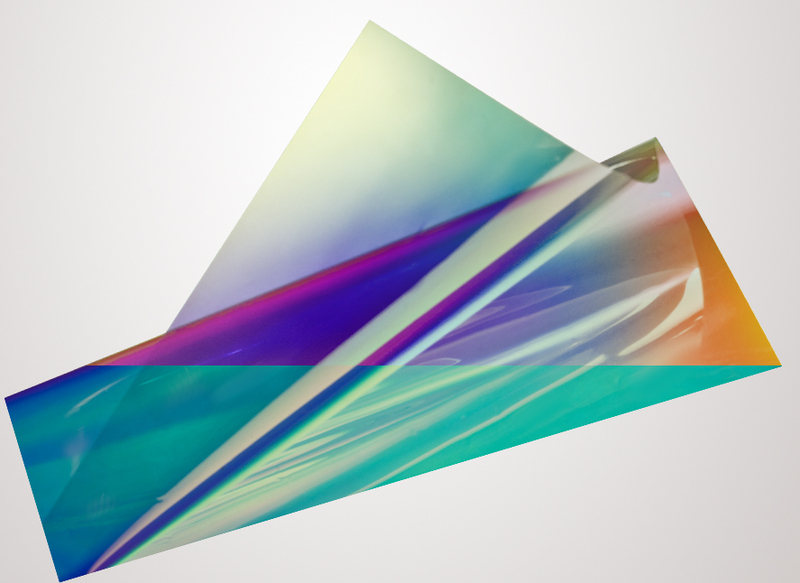 3M™ Dichroic inspiring a new spectrum of creativity! The shimmering, colour shifting effect of dichroic glass is a magnificent addition to any space and so simple to apply! Made of premium materials, the vibrant textures are available in warm and cool tones. Depending upon mounting surface colour, viewing angle and your lighting choice, 3M Dichroic Glass Finishes can take on a completely different look, defining your space in a altogether original way. 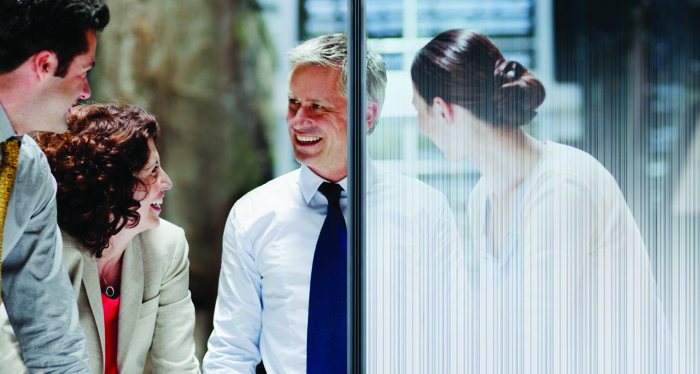 3M™ Glass Decorative Films are perfect for privacy and decorative applications on glass and windows. 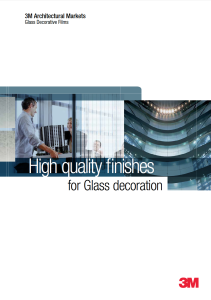 The ideal solution to give a touch of elegance and originality to glass surfaces. Click to view. 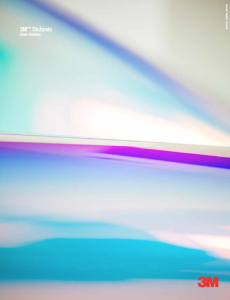 This brochure is an introduction to Fasara Glass films: Matt & Opaque films, Gradation films, Rice Paper effect films, Prism films, Crystal & Frosted films, Dots & Stripes films. Click to view. 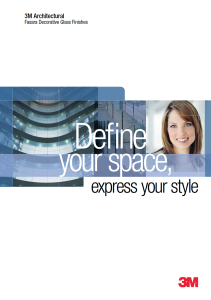 Just what you’d expect from 3M™ Architectural Markets, where state of the art technology meets high design. Click to view.